As performed at the Telling Our Stories: Speak Hope, Show Love event in Oak Brook, IL on February 23, 2017. When I was a little girl, I watched Mr. Rogers’ Neighborhood every day. My mom would turn on our clunky old TV and I’d watch him singing “Won’t You Be My Neighbor” as he walked through the doorway, heading to his sweater closet. Do you guys remember the sweaters? He had one every color of the rainbow – each with a zipper up the front. He’d remove his stodgy navy blazer and replace it with a sweater, then sit down on his bench and take off his loafers, replacing them with sneakers. It wasn’t until he had that sweater and those sneakers on that he would be able to do anything else for the day — usually feeding his goldfish, going to the crayon factory, or teaching us how pretzels were made. He taught me so much. In fact, every day when I get home from work, the first thing I do is rip off my bra and kick off my heels. Gotta get comfortable before you do anything else. So no bra, no heels. That’s all you, Mr. Rogers. Certainly, viewing the world through this lens is impactful in two ways. First, it moves the focus from the negative to the positive. Anyone active on social media is familiar with a common, rather colorful descriptor for the state of our country’s current affairs, which is that we are living in a “dumpster fire.” What would Fred Rogers tell us in the age of this proverbial dumpster fire? He’d tell us to look for the people on the sidelines, passing buckets of water to douse the flames, carting away the rubble, ready to rebuild. Second, it addresses humanity’s natural impulse to mobilize and respond in the face of injustice. This innate desire to fix problems keeps us from falling down the rabbit hole of hopelessness and despair. It’s an emotional safeguard that reminds us that all is not lost, no matter how bad things seem at the moment. It reassures us that redemption is always possible. 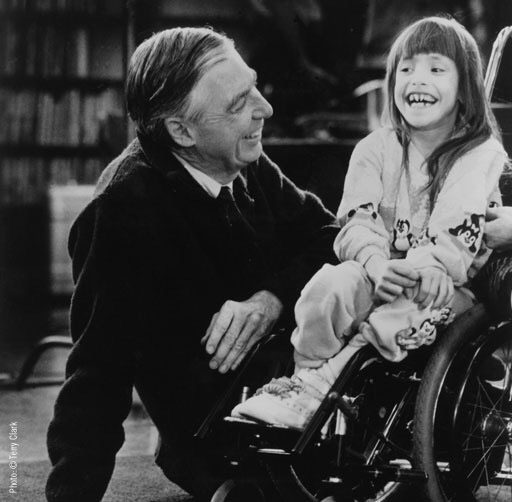 Mr. Rogers’ “look for the helpers” philosophy was originally intended to appeal to the natural optimism and empathy that exists within children, as a way to comfort and soothe them. Looking for the positive, finding ways to help – these are things that I see exhibited by my own children every day. But for me at age 33? I am as cynical as they come. I see dumpster fires flaming up in every direction, but instead of just rolling up my sleeves and getting to work, I find myself curled up in fetal position on my bed at night, my mind racing through an overwhelming list of all the enormous issues that need to be fixed immediate: racism, sexism, xenophobia, homophobia, transphobia, arachnophobia, robophobia. Yes, in case you didn’t get the memo, spiders and robots are going to rise up and destroy us all. This is just a small sampling the mental rollercoaster I put myself through every night before I drift off to sleep. Perhaps some of you can relate. The world is hurting. We want to help. 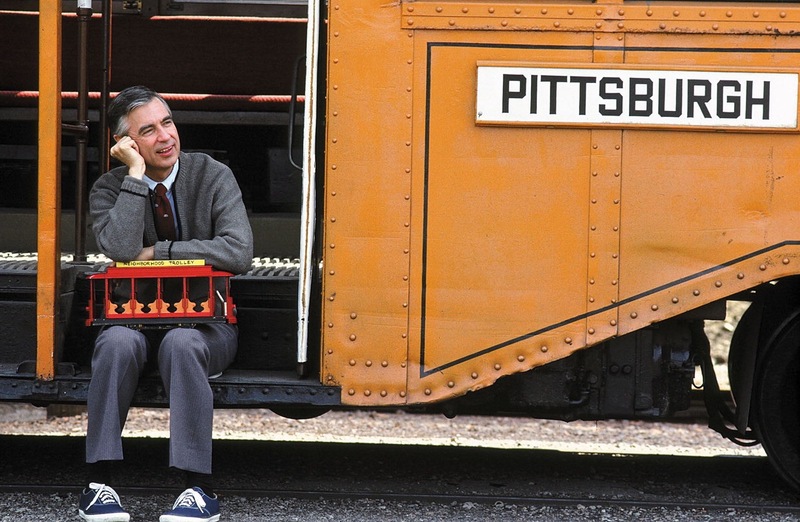 We want to make Mr. Rogers proud – yet, it feels nearly impossible to even know where to begin. Amy Poehler has an organization called Smart Girls at the Party, which is an online community for young girls interested in activism. Their motto is “Change the world by being yourself.” Very Mr. Rogers-esque, right? Of course, those of us who are cynical know that, on a tactical level, that motto is a bit simplistic. Change the world by being yourself? Like, I can’t just sit at home being witty, and stylish, and fabulous and expect that to solve world hunger. But, to their point, I can take my unique skills and perspectives and channel them into real, ground-level impacts. For example, I am passionate about career readiness, like having a sharp resume or strong interviewing skills. Maybe I can take those passion points and use them to empower another young person looking for employment in a tough job market. I love writing and public speaking. Maybe there is another woman out there who has a story to tell but doesn’t have a platform or venue. Maybe I can help her with that. So what are your skills and passion points? Where are there needs in your own community where you could bring real value? As easy as it is to feel overwhelmed by the broad needs of our brothers and sisters across the globe, it is important to keep in mind that no one is being called to fix all the world’s problems alone, or in a single day – or a single lifetime, for that matter. We are called to address the needs of our immediate neighbors. Maybe that means something major, like dismantling systemic racism or smashing the patriarchy in one clean sweep. Or, more realistically, it requires that we start by simply recognizing the inherent value in all people, and acting in small but significant ways to acknowledge that humanity. For example, I was recently introduced to Breakthrough Ministries in Chicago’s East Garfield Park. This amazing organization is committed to empowering adults and youth to achieve self-sufficiency and break the cycle of poverty. Volunteers help across a wide range of needs, including tutoring students after school, coaching a recreational youth basketball team, helping a young family get settled into a new home, cooking meals and dining with transitional housing tentants, the list goes on. In my case this past week, I was able to join 20+ women in gathering feminine products for other women who are living on the streets or simply struggling to get by financially month-to-month. So as we look for the helpers, are they the people dominating the CNN ticker on the bottom of your TV screen? Is it the person with the loudest megaphone or the largest social media platform? Or are they the individuals in the periphery, with their sleeves rolled up, passing the water buckets? Mr. Rogers once said that life is the greatest mystery of any millennium and that we need to do whatever we can do to bring courage to those whose lives move near our own, by treating our neighbor at least as well as we treat ourselves. We all have only one life to live on earth and we have the choice of encouraging others to either demean this life or to cherish it in creative, imaginative ways. So when I look for the helpers, I’m looking at all of us. And today, I’m rolling up my sleeves.